Why Choose Visian ICL Intraocular Lenses? 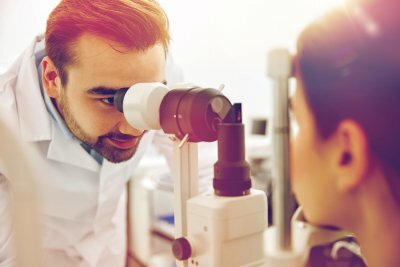 If you’re tired of wearing contact lenses and eyeglasses, then your ophthalmologist in Chicago may recommend treatment with intraocular lenses. Keep reading to learn why you should consider Visian ICL for your intraocular implants . Visian ICL is a quick and painless vision correction procedure. Also, it is minimally invasive, in part because the Visian ICL Collamer material allows for easy insertion of the intraocular lens. After numbing your eyes, your ophthalmologist can perform the procedure quickly, and you can expect the appointment to last for just half an hour or less. Also, the fact that Visian ICL is minimally invasive allows for patients to enjoy a quick recovery time. This means that if you choose Visian ICL, then you can look forward to resuming your normal activities, but with clearer vision, after only a few days. Visian ICL for their intraocular implants can benefit from better UV protection for their eyes. The implant’s Collamer material gives Visian ICLs unique, UV protection qualities. After being gently inserted into the eye, a Visian ICL allows natural visible light to pass through, but at the same time creates a barrier of UV protection. Patients who choose Visian ICL for their intraocular implants can rest easy knowing that, should they have a significant change in prescription, their Visian ICL implants are completely removable. This feature also allows you to change your prescription as needed and take advantage of future advances in vision correction technology. Additionally, Visian ICL can correct and reduce high nearsightedness and is an option for many patients with thin corneas, meaning that this procedure can be suitable for many patients who aren’t candidates for other corrective options. Finally, many patients experience fast results and enjoy improved vision immediately after their procedure.